Mark is the Chair of the firm's Creditors' Rights and Bankruptcy Practice and Co-chair of the Business and Commercial Litigation Practice. He focuses his practice in commercial litigation. Mark represents commercial lenders, financial institutions and other creditors in enforcing secured and unsecured claims in the state and federal courts. 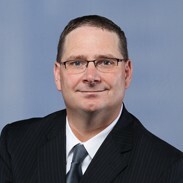 He represents creditors in Chapter 7, 11, 12 and 13 bankruptcies in the Bankruptcy Courts of Northern, Central and Southern Districts of Illinois, the Eastern and Western Districts of Missouri and the Southern District of Iowa. He represents construction clients and property owners in mechanics lien disputes. He also represents creditors in foreclosure actions and he has extensive experience litigating contract claims. Mark also has an active asbestos and toxic tort practice. He represents product, equipment and premises defendants in asbestos litigation throughout Illinois. He has responsibility for all areas of case development and trial preparation. He develops expert witness testimony and regularly deposes plaintiffs and other fact witnesses, as well as opposing experts. He also has extensive experience in dispositive motion practice. Mark also practices in the areas of professional responsibility (primarily for physicians and hospitals), probate (will contests and other estate and trust actions), and casualty matters. Mark has represented a large cross-section of clients in litigation throughout the federal, bankruptcy and state courts of Illinois. His practice reflects the varied needs of the firm's clients, which have included financial institutions, commercial lenders, property owners, professionals, not-for-profit corporations, businesses (including Fortune 500 corporations), and individuals. Fritz v. Weather Shield Manufacturing, Inc. Plaintiffs sued our defendant for breach of contract and breach of warranty regarding windows used in the construction of plaintiffs' home. Plaintiffs sought both replacement costs and compensatory damages of $60,000. Our defendant's motion to dismiss the breach of contract claim and claim for compensatory damages based on the limitations of the expressed warranty was granted. At trial, verdict was entered in favor of our defendant on the breach of warranty claim. In Re Estate of Helen Blair Plaintiff sought to have annuity proceeds included in probate estate. Defense verdict.